​Dan Slavin, Wendy Temple and Lora Yuen. For more information about the plays and the artists, click here. Complete performance schedule is available below the map. *Thursday Nov. 30th performance is a special "Buy One Ticket, Get One Free" performance. No other discounts apply. 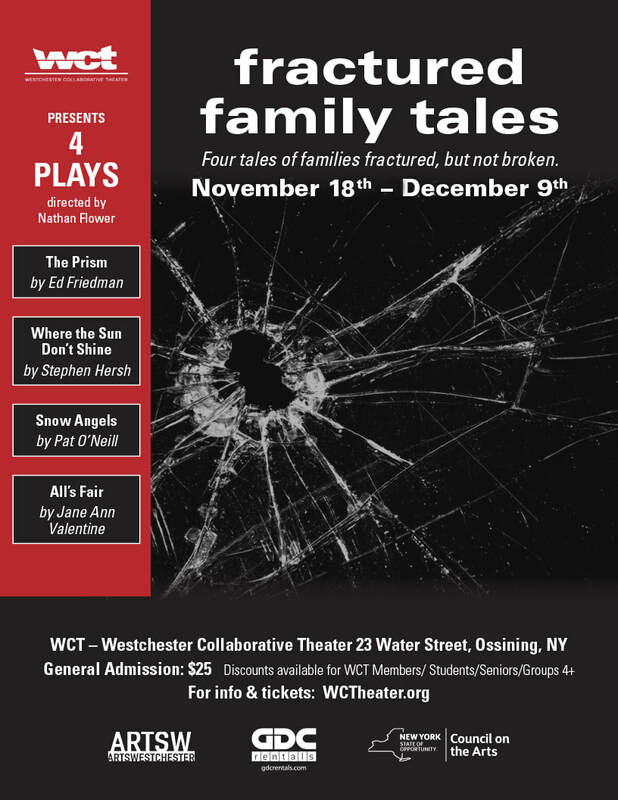 ** Sunday Nov. 19th @ 3pm & Saturday Dec. 9th @ 2pm performances followed by talkback with director & playwrights. Carpet Giant 139 Croton Ave.
Del Sol Bakery 26 S. Highland Ave.